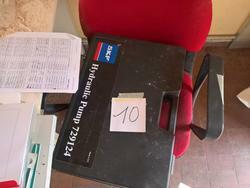 Bankruptcy asset sales of used hydraulic pumps. Make your bid! 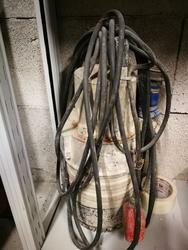 Are you looking for used hydraulic pumps? Attend the judicial auctions on Industrial Discount! Our sales are characterized by security, transparency and convenience. Our auction catalogue includes machinery of any brand and model, characterized by a super convenient price. Since our lots come from bankruptcy procedures and company liquidations, they have a price much lower than their market value; this assures the maximum profit for the smallest expense. To help you make your choice, each item is provided with a full description, technical specifications and high-quality photos; moreover, thanks to the search filters, you can quickly spot the used hydraulic pumps that best suit your needs. Through the Watchlist feature in your account you can track in real time the bidding activity on your favorite items and see with no time delay if you won an auction. 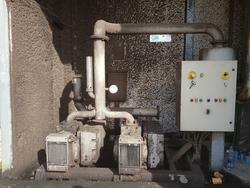 Don't miss out on this great opportunity: attend the online pumps auctions and save today! 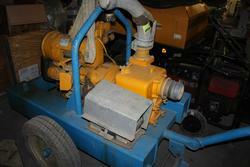 Do you want to stay updated about the upcoming auctions of used hydraulic pumps? Subscribe to our newsletter! You will receive a weekly email showing new items for sale.